Current clothing production is wasteful and takes up too much space. This could be a problem when it’s predicted 75% of the Earth’s population will be living in cities around 40 years from now. Space is already a valuable commodity but by the time this migration has taken place, space could be the most valuable. That’s why Joshua Harris’ clothes printer has gained so much traction recently. 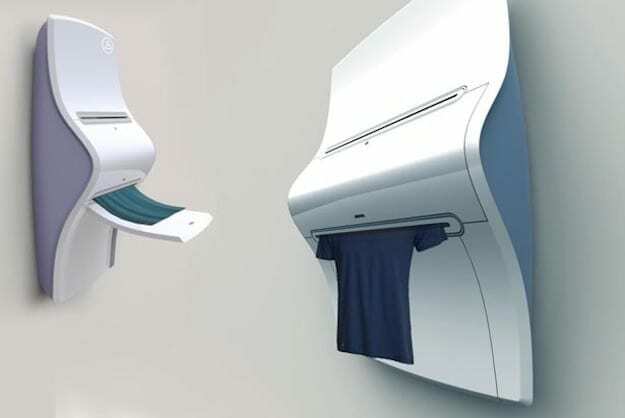 His idea centers around the concept of feeding your old clothes into his machine, you can then use that material to instantly print the next outfit you’ve had your eye on. With 3D printing becoming so much more advanced, you may also be able to purchase cartridges of material from your favorite brand such as Nike, insert it into the machine and print out this season’s hottest item.